There is a forever need for corporate and educational online training to be effective and engaging, and the onus of the same generally lies with Instructional Designers. As an Instructional Designer, you may be asked to create a new educational course from scratch based on the curriculum or create an eLearning course based on PowerPoint being used for Instructor Led Trainings. However instructional designers need not limit themselves to just dumping the PowerPoint content into an eLearning or online format as part of their course creation. A deeper part of their job would ideally entail applying systematic instructional techniques while converting the PowerPoint to an eLearning course. It ensures that the course achieves its objectives of successful transfer of knowledge, skills and attitude. The PowerPoint can definitely form the base for building the course. It will need to be broken into small digestible chunks and sequenced logically. However, just delivering the content chunks may not suffice. So, what could be added to make these PowerPoint based courses more engaging and bring out true learning than just imparting knowledge? Providing meaningful exercises and activities, asking learners challenging questions, making them think, and making them solve problems close to real world environment is essential to make learning happen. To achieve this, interactions need to be an integral part of an eLearning course. “Tell me-Show me-Let me” method can also be used for active learning. Reinforcing value points at regular intervals will help learners in progressing efficiently. It is also important to provide performance support tools such as job aids that will help learners to perform their jobs successfully after the course. Learners can further be supported and engaged through virtual communities. Instructional Designers can follow the ADDIE model for developing an eLearning course. They can also apply various instructional design theories and principles while designing the instructions. Raptivity as an ID’s artillery comes handy in creating meaningful interactions for eLearning course. It helps in implementing instructional design theories and principles with its 190 plus fully customizable and time saving interactions. Raptivity lets IDs infuse learning concepts with zero programming efforts and simplify learning for a vast variety of users. 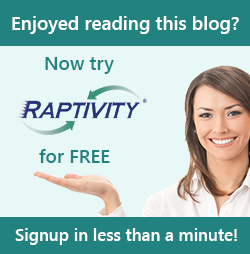 I would recommend you to try out Raptivity yourself using a 14 day Free Trial of Raptivity and experience its benefits.